What is a first generation (F1) Beaglier? In regards to hybrid or designer breeds, the term ‘first generation’ is used to describe the pups of the initial cross between 2 separate breeds. In Beagliers, the first generation are the pups from a Cavalier King Charles Spaniel and a Beagle. The Beaglier pups are the result of 2 very different breeds with separate genetic histories. This first generation will have the greatest likelihood of being free from the recessive genetic disorders of both parent breeds. The use of “F1” is a scientific term to denote this generation as being separate from the parent generation which are usually denoted with a capital P.
First generation Beagliers will typically display a fairly even mix of the two breeds. The pups of a first generation are quite consistent and very similar to their littermates. They are considered by most to be the best generation in terms of health and consistency of the different generations, and hence are the most commonly bred by reputable breeders. Typically, a first generation Beaglier will have a short, glossy coat with a very happy and outgoing temperament. However, some first generation individuals will still display some physical characteristics that resemble one of the parent breeds more than the other. This can include a slightly longer coat than a Beagle or a flatter face similar to the Cavalier King Charles Spaniel. What is a second generation Beaglier? This is where the litter of Beagliers are the result of 2 parents that are both first generation Beagliers. These pups are sometimes referred to as being a straight second generation by some breeders. These pups are less commonly bred as the offspring from these litters will have the most variation within the litter of the different generations. For most single traits or features, an average of half the litter will resemble their parents, one quarter will resemble a Cavalier King Charles Spaniel and the remaining quarter will tend to resemble a Beagle. For example, using muzzle length as the trait, half the litter would have a medium length muzzle, one quarter would have a short muzzle (like a Cavalier), and the remaining quarter would have a longer muzzle (like a Beagle). These figures are only averages to be expected over thousands of puppies in time. An individual litter may have skewed results and not in the proportions expected. This classification is for pups from a first generation Beaglier parent and a Cavalier King Charles Spaniel parent. So for example, mum is a first generation (F1) Beaglier and dad is a Cavalier. These pups will look decidedly more Cavalier in appearance and health characteristics as they are 3/4 Cavalier and 1/4 Poodle. Often these dogs will have a long fluffy coat. The coat of this generation can often be longer and fluffier than a Cavalier’s! They are also at a higher risk of suffering from the same health concerns as Cavalier King Charles Spaniels. These Beagliers are not very common due to the loss of desirable health qualities a first generation Beaglier is bred for. Often, but not always, this generation is the result of accidental breeding. Some purebred Cavalier King Charles Spaniel breeders have put this idea forward as a way to improve the health of Cavalier King Charles Spaniels. Careful selection of breeding between these Beagliers back to unrelated and healthy Cavalier King Charles Spaniels over many generations, may produce dogs that breed true type Cavalier King Charles Spaniels but have greater genetic health. This technique known as outcrossing has been used to save some breeds where individual numbers are so low that they are at risk of being lost through inbreeding depression of the genome. This technique does require enormous effort and careful selection of the dogs used in this sort of breeding program to achieve the goal of a genetically healthy Cavalier that still retains their beautiful nature. This classification is for pups from a first generation Beaglier parent and a Beagle parent. So for example, mum is a first generation (F1) Beaglier and dad is a Beagle. These pups will look decidedly more Beagle in appearance and health characteristics as they are 3/4 Poodle and 1/4 Cavalier. Often these dogs will tend to have a short, matt (rather than gloss) coat with a longer muzzle as well as possessing a higher drive to use their nose to follow a scent trail. 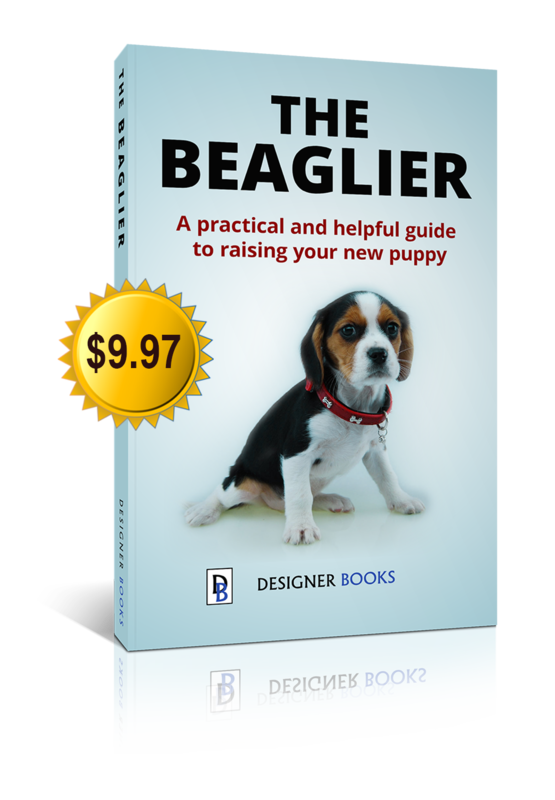 These Beagliers are not also very common when compared to first generation Beagliers as they tend to lose much of the calmer nature and other character traits of the first generation Beaglier. What is a multi generation (multigen) Beaglier? A multigeneration Beaglier is any Beaglier that is third generation or more and are not really bred by most breeders, nor are they sought by very many owners. Most will lose the qualities of the first generations and tend to resemble one of the parents in both physical, temperamental and health traits. This group is the most varied of the generation classes. The physical, temperamental and health traits and can go in any direction that the breeder takes them in, whether intentionally with physical characteristics or unintentionally via hidden health issues. This process is how a traditional breed is established. By ‘fixing’ particular traits so that all individuals of the breed to have the same feature. An example of this is where breeders only bred from dogs with blue eyes and over many generations (the number of generations depends on how the trait is expressed) all the dogs of that breed have blue eyes. Unfortunately, this fixing of traits can also result in accidentally fixing negative genes for genetic diseases. This is how many of the recessive genetic diseases became so common in the traditional breeds. Examples of this include Progressive Retinal Atrophy (PRA), Canine degenerative myelopathy (MD) and Von Willebrand disease (vWD).